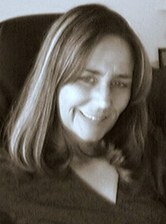 Dawn Hawkins is the author of Danny's Grace. The book was released by Rocking Horse Publishing on January 28, 2014. She born and raised and continues to reside in Elkton, Maryland. She is planning a sequel to Danny's Grace in the near future. Favorite authors include Mark Twain and John Jakes.